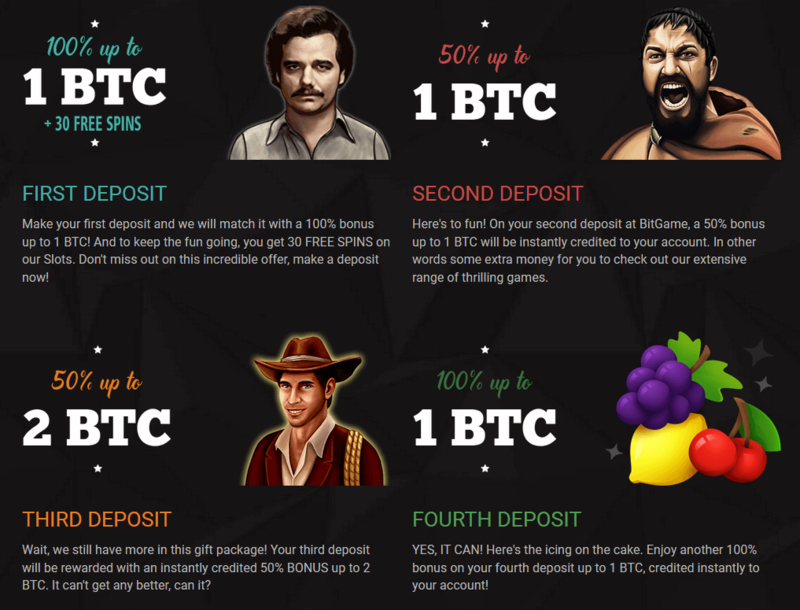 BitGame is an online Crypto Casino that offers fair play on numerous games such as Slots, Videopoker, Blackjack, Dice, High Low and many more. They allow users from all over the world to participate and enjoy the experience that they provide. As has been mentioned many times, the fact alone that an online casino uses cryptocurrencies gives it the credibility needed to prove its security and provably fair gaming. This is because the technology behind the cryptocurrencies is encrypted and leaves no room for any human interference or manipulation. They have also made sure to take care of their VIP clients by giving several benefits and perks, through the different leagues that you can enter. By playing on any of the casinos games contributes to your overall VIP league. At BitGame you have the option to use various types of payment methods such as the use of credit or debit cards, e-wallets and by cryptocurrencies, and usually all the deposits and withdrawals are made instantly. This makes it easier for you to deposit and to withdraw your money, without any frustration and however you please. For any kind of enquiry, you can contact the support department by using the chat line on the platform. Looking for more crypto casinos? We have plenty more reviews here.